Made from our same high quality materials as our Blended Operator Hats, our visors bring more comfort to the Mil look. Large 2 x 3 inch female loop patch added to attach your own American Flag/ IR patches. 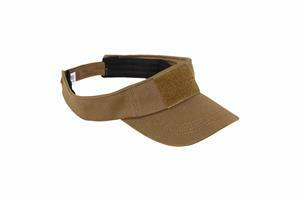 The ELW visor is made from the same custom made mesh as the Blended Operator’s ELW hats. Adjustable hook and loop closure. Available in Coyote.